New research commissioned by Callebaut has explored the trends that will be shaping menus over the coming months to help pinpoint the nation’s favourite chocolate desserts. Working with Menurama, Callebaut also pinpointed the nation’s favourite chocolate desserts, with chocolate brownie the clear number one followed by cheesecake, cake, pudding and ice cream** and revealed the average price of a chocolate dessert is £4.38, commanding an 11% premium over non-chocolate dishes. Robert Harrison, Sales Director at Callebaut, explains: ‘According to our findings, an impressive 70 percent of 18-34-year-olds are happy to pay more for their favourite chocolate dessert, and should operators fail to feature a chocolate treat on menus at all, 30 percent of customers may refrain from choosing a dessert altogether. ‘‘It would appear from the research there is a real disconnect between what many consumers want and what’s being provided. 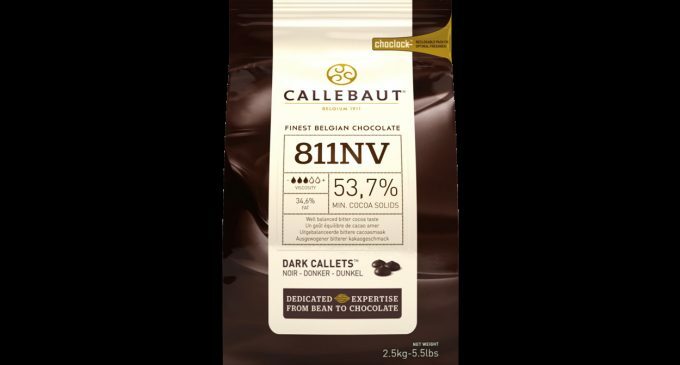 The work marks the launch of Callebaut’s new For The Love of Chocolate campaign, aimed at guiding caterers through their choices and ensuring dessert menus remain profitable. Chocolate haven www.fortheloveofchoc.com includes a handy infographic (pictured above left) featuring the key research findings, as well as on-trend recipes and helpful videos.